Discussion in 'Pokémon Manga Discussion' started by shoz999, Jun 25, 2018. Which is your favorite story arc out of Gen 1? This is a discussion thread to talk about the many awesome, fun, hilarious, and questionable moments of Pokemon RGB and Y arcs that you can't really find in the anime or even the video games. 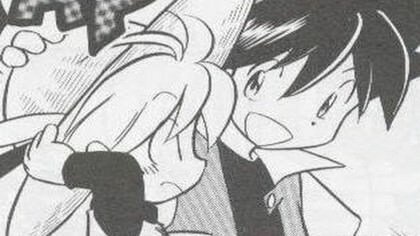 So please, lay out your thoughts of the first two chapters of Pokemon Adventures! Wanna make two separate reviews of the RGB and Y arcs? Go ahead. Don't have enough time to make a review? Express it through a simple vote in the polls. Just wanna talk about a specific moment that stands out? Do it! Three kids... a Fighter, a Trainer, and an Evolver. Three Pokedex's to obtain. Three Starters to meet. Eight Gyms to challenge. One Nefarious Organization to stop and one Pokemon League to conquer. If you never read Pokemon Adventures then your in for one wild ride unlike no other. All the Review/Thoughts Discussion Threads are excluded from the 60 days limit rule. So have no fear if you want to talk about the chapters if this thread goes over the 60-day limit. There is no recommended review system. Instead I recommend you come up with your own review systems, from 5/5s to 10/10s, to give people a quick idea what you generally think of the story arcs as a whole. This is both a review and thoughts thread. So if you don't want to rate and review a story arc but instead express your thoughts of certain moments or scenes. That is fine. Please alert others with a "Spoiler Warning!" if your review or thoughts does indeed have potential spoilers. Have fun discussing the many amazing, funny or even questionable moments you've seen in Pokemon Adventures RBG/Y. One of the reasons I created this thread was to create a place to talk about more chapter-focused content. I absolutely know there's a lot of fans that want to talk about the amazing stuff in Pokemon Adventures that aren't always viable enough to be a thread on it's own. So feel free to talk about Pokemon Adventures. Also fun fact. The artwork cover for the RGB chapter is based on this promotional ad for Pokemon Red and Green in Japan. So can't we review them in how good it is or how bad it is ? Lot of stuff in Pokemon special manga that i saying it is quite good and then there are quite few of elements that in manga that didn't impressive me all well . You can review the RGB and Y arcs in anyway you like, saying what you felt was amazing or just simply was plain dumb. Ok then i should do start review tomorrow afternoon then ! and is nice to see that in Pokemon media before Pokemon the origin anime did in 2013-14th. Ok here i go ! My first Pokemon special manga:RGB Arcs reviews ! .the Story is kind short then most pokespe story usually do .....and that is actually good thing ! Red is .....not that great character and Ash already play the shonen protagonist in the Pokemon anime. ...so i think he should be bit more different from Ash and origin's Red ....and this doesn't mean i hate his character or anything like that ! But i do wish that kusaka do better job with his character ......and i do like that he own Pokemon before he gives one from the professor oak but i wish his Poilwrath should show it's personally more then what the manga did . Green is little colder than his most counterparts from the game and manga/anime .....and his past is actually pretty interesting to me as he training in the Jhoto region under chuck the fifth gym leader . And i love his sister daisy oak .but i don't like his cold and hard personality anymore as i do find that quite annoying that i do find the game and anime counterparts's personality quite refresh to me now . RGB is a great introduction to the manga. The start is a little slow, but that was probably neccesary to set up the world of Pokémon in this particular universe. Besides, compared to the pacing of the anime, it's lightning fast, and I can't say that it ever bored me. It's also the arc that takes more liberties and that's pretty refreshing. By the end, I was very impressed. 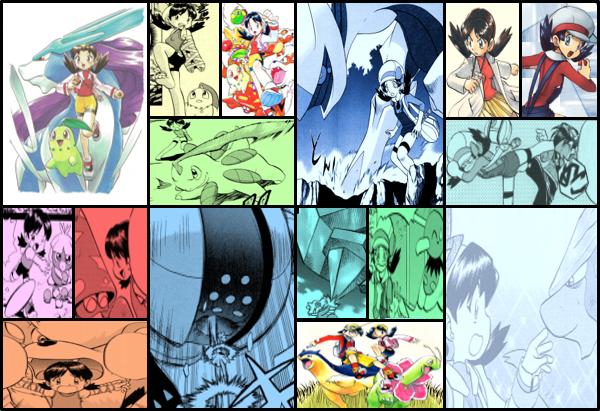 Perhaps the story is a little more generic than posterior arcs, but it was enough for me to decide that Pokespe was the best piece of Pokemon media by far. Likewise, Red isn't one of the most interesting protagonists in the manga, but he works well as out guide un the then-mysterious world. Green goes from the smug rival from the games to a more serious counterpart of the hot-headed Red, a good choice in my opinion. And the there's Blue, who is still one of my favorites Dex Holders. We can see her in all her trolling glory, her best version imo. At its core, RGB is a typical shonen story, with a typical shonen protagonist, typical shonen villains, a typical shonen serious rival and a typical shonen cunning girl. But it's very fun to read because Pokemon allows for a lot of originality to work with. Speaking of typical shonen protagonists, Yellow is not that at all. This is more the story of someone forced to play that role due to circunstances, and it's very interesting in that regard, but what really makes the arc is the villains, because we you wouldn't expect the Elite Four to be the bad guys, yet they work incredibly well in that role. I think Yellow remains one of the best arcs to this day. shoz999 and Redstar45 like this. Well before I go into my thoughts, let me just say this. I truly think anyone who calls him or herself a Pokemon fan should check Pokemon Adventures out. One of the main reasons why so many Pokemon fans become huge fans of Adventures is that it's a wild ride that is both incredibly faithful to Satoshi's vision of the Pokemon World while also maintaining it's own creative freedom for the sake of exploring the Pokemon world in meaningful ways with real character progression that the anime and even to an extant in some ways, the games, can't seem to capture that vision quite right. Honestly though, I don't think RGB was the arc that really started to set in stone what Pokemon Adventures would really become, kind of similar to how the Frieza Arc years later in the Dragon Ball set the overall standard/future of the series. I believe that honor goes to the GSC arc but the RGB arc is where it all begins and man, is it a amazing introduction to the manga, especially a manga that has a lot of continuity to it. I love the progression that all three characters, Red the fighter who fights for his friends, Green the genius trainer who pushes his limits, and Blue the mysterious somewhat charming thief who uses her Pokemon like spy gadgets. The world-building is also incredibly and why I say world-building, I don't just mean "The World of Pokemon", I mean Kanto itself feels alive and connected and many cities and towns have a different theme to them. For example, Cerulean City is a Venetian-style city full of riverwalkways and Vermillion City is your typical sunshine city with piers, then you have Lavender Town that is teeming with mystery full of people who won't talk to adventurers due to what's happening at the Pokemon Tower. I can see what Satoshi meant by how this manga really captures his vision for the Pokemon world, perhaps even more so than GameFreak's games themselves. It is said that one of the main driving forces behind almost any plot are the villains and man... the villains here are the real deal. You got Surge, Koga, Sabrina who are like the warrior/engineer, ninja, and magician of Team Rocket and they really display what they can do, from Surge's gadgetry to Koga's stealth and illusions to Sabrina's psychic powers. One of the things I love about Pokemon Adventures is how Pokemon's Pokedex entries and biological featuers are expanded upon and it's often shown through these three Rocket Lieutenants just what could Pokemon possibly realistically do. Like how Surge forms an electric belt/vest made of Magnemites, how Koga uses Gastly to create illusions. For Sabrina, although this isn't in RGB arc but rather in the GSC arc, Pokemon Adventures made me realize just how dangerous and badass Mr. Mime can be, creating houses made of glass that confuses the opponent greatly. That is like psychological warfare right there. However the true star of Team Rocket is the Self-Proclaimed Strongest Trainer, Giovanni himself. This is the guy that truly pushes everything Red has ever learned to his limits, forcing him to put his own life on the line as the trainer plays the important part of making every second count. In fact, personally I think this battle alone should be in everyone's top 5 Pokemon battles in Pokemon history. It's just that amazing unless your a purist who thinks Pikachu one-shotting Nidoqueen with an electric attack is out of character. 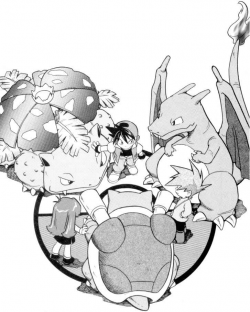 Overall, Pokemon Adventures Red, Green and Blue arc is an AMAZING way to start off Pokemon Adventures. It isn't the best personally but it is an amazing door to a Pokemon world far larger than the anime and to an extant, the games themselves. I feel Pokemon Adventures is more quality over quantity when it comes to Pokemon and the anime is more quantity over quality, as in Adventures focuses on a select team of personal Pokemon with unique abilities and traits while the Anime tries to cover every single Pokemon as much as possible. Still, I see what you mean and what you said just gave me an idea. It is true that Pokemon Adventures is more focused on human characters description than Pokemon characters, but I don't think this will cause it to deviate from the subject. since humans do play an important role in the Pokemon world. And although does not do more than anime, it does have some impressive Pokemon characters. Personally, one of the most funniest scenes in the Pokemon Adventures series. I refer the rival as Green, because of his green clothing and green eyes, and the female protagonist as Blue, because of her blue eyes and blue clothing later on in the remakes. The Yellow Arc is the first story arc to ditch the episodic-style storytelling of the RGB arc. This would later become a staple and key element in helping defining Pokemon Adventures further in the upcoming and popular GSC story arc. Both the RGB and Yellow Arcs serves as a huge amount of background lore for future arcs, most notably the GSC and FRLG arcs. The Yellow Arc is a step in setting in stone how Pokemon Adventures handles fanservice, smoothly molding it together without interfering with the epic storytelling. Yellow is an original character, her outfit, team and even to an extant her story arc based off of western movies. 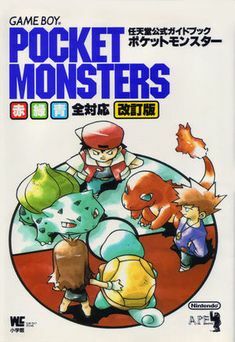 This is an original story set after the events of the Adventures's adaptation of Gen 1's storyline, featuring more character development for many other characters such as the Gym Leaders. A lot of fans have noted the incredibly strong similarities between 5th gen's epic storytelling and the Yellow Arc most notably the villains. The Elite Four have the goal of liberating Pokemon but the similarities don't end there. Agatha manipulates much of the team, especially Bruno, similar to Ghetsis, Lance is a psychic who can talk to Pokemon and thinks he can saves them by summoning a legendary Pokemon but eventually even he turns a new leaf, similar to N, and the reasons for liberating Pokemon is because they've seen the horrors of what human progress can do to Pokemon nature which embodies the Yin-Yang theme of industry and nature in the 5th generation. SPOILER ALERT! Do not read this review any further as I will ruin a certain, albeit somewhat obvious, plot-twist about the young lad. On a side note, who thinks Lance should be voiced by the actor who voices Wolf O' Donnel from Star Fox! Lance seems like the kind of "Your good. But not good enough!" guy considering he has a backup plan for everything. This chapter overall reminds me of one of those "siege" arcs from manga. Basically it's that point of the story, very common in manga, where the heroes goes against the odds, pushing everything they know to their limits, by taking on an enemy territory or an enemy fortress. It's something I've noticed a lot in Dragon Ball Z, One Piece (especially One Piece), Fairy Tail, Bleach, Naruto etc. So where do I begin with this review! 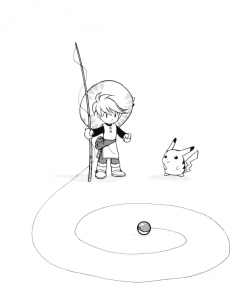 The Yellow Arc is one of my favorite arcs, then again their all my favorites, but this one really stood out to me as a step to making what Pokemon Adventures is, through much more fluid continuous storytelling rather than the episodic style one of RGB. Not only that I feel this chapter also left a standard for chapters, usually those based on third versions, that feature epic storytelling while featuring great fanservice that improves the story, not slow it down which I feel is a huge problem the anime has at times. So the story is about Yellow going on an adventure to find and rescue Red who has gone missing after battling Bruno of the Elite Four. The Elite Four are the villains here and man, they do not disappoint. They definitely show you that they are, in their own ways, Pokemon Masters with their own unique fighting styles and more strengths than weaknesses. For example, Lorelei tends to use the slippery and frozen properties of ice to her advantage, Bruno tends to use his fighting and rock-type Pokemon that can adapt to a number of situations, especially at close and long ranges such as Hitmonlee's stretchy legs and Machamp's amazingly fast arms up-close, Agatha is an interesting one who uses trickery and stealthiness on an entirely different level, most notably through her Gengar who displays the properties of living in your own shadow and then there's Lance, which is pretty much raw brute force from highly trained dragon-types but how he does it is really interesting, such as his twin Dragonairs manipulating the weather. These are all villains that Yellow, a new and young trainer, has to go up against and the reason for that is, like Lance, she has psychic abilities as well. Yellow is a fun and innocent character for much of the series who gets training and orders from Blue and Green who sort of represents the kid in all of us when we played our first Pokemon game, capturing a random Rattata or Caterpie. One key characteristic I thought was interesting is that she is somewhat of a pacifist, preferring to only fight if she's left to no choice and even then wants to minimize the damage as possible This is seen in her inability to capture a simple Caterpie, simply because she doesn't want to hurt it, asking Green to do it for her. Even with her beliefs against unnecessary violence, she actually knows how to battle cleverly well and has the power to boost her Pokemon's level as seen in her battle against Lorelei's ice-based tactics and the Rocket trio later on in Vermillion City. Throughout the course of the story, it seems like Yellow's Pokemon never evolves and it's actually revealed through Yellow's childlike innocence that she intentionally kept them unevolved with the Pokedex, hoping she could end this peacefully, reasoning with Lance who is similar to her, born from the Viridian Forest with psychic abilities, but to no avail. It's near the end where you, the reader, get your first taste of Pokemon Adventures-style fanservice and ho ho ho- it doesn't disappoint! On the main region of Kanto, you have Brock, Misty and Erika working together to stop the Elite Four's onslaught armies of Pokemon attacking different cities. At the Cerise Island, where the final battle takes place, things get even more epic! WHERE DO I BEGIN!?!?!?!? Agatha has a past with Oak as a long-time rival, back when they were younger and friends. You have Blue teaming up with Sabrina to fight the cold hearted Lorelei, Green and Koga teaming up to fight the clever Agatha and Surge and... Bill!? Yes Bill! I'd never thought I'd see Bill being part of the nostalgia my first time reading this and who does Bill go up against? Bruno of all people. It's pretty funny actually but how they fight Bruno is pretty clever, Surge in particular using a mixture of his electric-types and gadgets to take down Bruno and his Pokemon. Eventually Red's fate is revealed and in particular well-done scenic panel I saw, the three original heroes bump into each other by chance in the tunnels. Even though not a lot of words are exchanged because of the danger of the situation, I personally thought it was a quick but sweet moment as it felt kind of like a nostalgic reunion before the GSC chapter hits. As the story progresses, you can clearly see Lance is the strongest of the four, using a mixture of both brute force and clever strategic planning to outsmart his opponents at every turn. Yellow has to team up with Blaine, Mewtwo and surprisingly Giovanni at the last second. Giovanni's appearance is quite short however it's still quite exciting, this being not just a Pokemon battle, but a battle of wits where the trainers lives are on the line, to outsmart one another and even this is not enough to beat Lance. However through this combined effort, it is enough to weaken Lance for Yellow and Pika to deliver the finishing blow, defeating Lance. So what happens to Yellow? She falls unconscious, tired from the battle, in the arms of the person she most admires, Red. She eventually dreams about being with her Pokemon in their original basic stages and Pika who she acknowledges is Red's Pokemon in the end, wanting to be with them a little longer. Eventually she wakes up, realizing she was sleeping on Red's Gyarados for a while, with Red touching her hat, not realizing she's a girl, joking about how "We should all live together!" catching Yellow off-guard, turning a little pink there. Heh heh. It's a really sweet moment and it is kind of both sad and happy that Pika has to join up with Red over Yellow but Yellow get's her own Pikachu later on. Overall, the Yellow Chapter is an amazing ending and I like Yellow as a character, she's so freaking naive and sweet but also courageous, won't hesitate to help others in need and can also hold on her own in a battle when danger comes closing in, you could say the first post-game story in some ways before XY's Episodic Post Game showed up, to Generation 1 showcasing all of your favorite Gen 1 characters in an epic clash against the odds with Yellow at the center of the spotlight, taking the lead. This truly is a great farewell letter to Gen 1... or is it? It seems the writer doesn't think Gen 1 isn't really over, rather you could say it's "evolved" throughout the generations. A brief impression since I have yet to formulate my overall opinions. Volume 1: A series of misadventures and slice of life for Red and his friends. Very reminiscence of the early anime days. 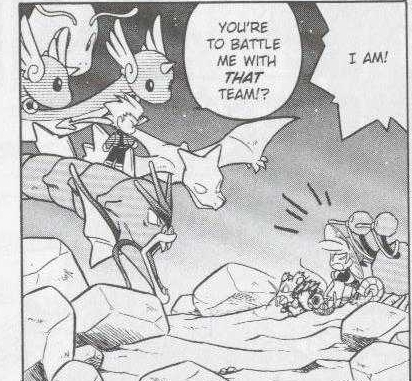 The only real arc was Koga and his Team Rocket squad (Lt. Surge wasn't established as a Team Rocket member in this volume, just an evil American smuggler). The Snorlax chapter is really a combination of Wake Up Snorlax! and the The Flame Pokémon-athon! episodes. Volume 2: More slice of life episodes, though we start to see growing arc regarding Team Rocket. Though it's most segregated into different, almost independent subplots such as Green and Mew, Erika and Eevee, and I believe Blaine and Articuno. I believe this was the first time that Red encounters Giovanni, but it really does feel like a slice of life episode considering that at no point was there direct lead up to this story, or even a direct continuation afterwards. Just a daily life of Red who just happens to meet the Team Rocket boss. Volume 3: It all comes together. By far the most shōnen style volume of the bunch. With a city siege, intense stakes and Dragon Ball Z like battles. There's a lot in my mind about this one, but I need to really digest what I saw. The Pokémon League is an afterthought. And I don't like how they resolved the final battle between Red and Blue. Rules are more convoluted than the anime (balance, what balance? ), and it's a subversion of Reality Ensues thanks to a series of circumstances regarding Oak and Green that indirectly led to Red and Blue enter into the Pokémon League finals. Also, I think Red should have taken the Earth Badge from Giovanni just to complete the Gym Badge set (and to rub it into Giovanni's face). I don't know about you but the Pokemon Adventures manga reminds me so much of One Piece, including the little details. You know the Siege storyline? That reminds me of how Luffy & friends, literally against all odds, besieged epic fortresses all on their own, showing what each and every individiaul are capable of on their own, how much they've come far along the road and winning in an epic battle of wits. Especially Giovanni. That reminds me of one of the more smarter shonen-style battles. Only problem is how it ended. It ended on both an awesome and dumb note, Pikachu using thudnerbolt against a ground-type but on one hand I suppose it's understandable since back than Gen 1 limitations were pretty severe for a lot of Pokemon, including Pikachu. You know Venusaur? Venusaur from Gen 1 basically has nothing to counter against Charizard. I have not read One Piece (but I am familiar with the story), but I can get the gist of what you are saying. Speaking of awesome and dumb notes, I should also note that the Pokémon Adventures really bend if not outright break the game rules just as bad as the anime. Pikachu shocking Onix into pieces. Without sprinklers. And here's me laughing and laughing at the sight of Onix's epic failure. I still recall how people complained about the anime breaking rules of Pokémon Type advantages, and yet this beloved manga does the same thing. And this was not a one off incident; Pika continued to ignore Ground-type immunity without care. And that's not going to the unorthodox methods that Red uses to defeat his opponents. Be it wearing gloves that protect his hand from an electrifying Poké Ball to give Pika extra time to charge up Thunderbolt, or using an convoluted combination of different moves to create a thunderstorm within the League. They're up there with the Thunder Armor or Aim for the Horn. This is not really critique as it a recongintion that the Pokémon anime and Pokémon Adventures (at least in their early years) have much more in common than people would want acknowledge. If people understood that, there would be friendly fandoms between the two forms of medias rather than bitter rivalries. Actually I think only the RGB story arc broke the rules a bit, like literally just the original story arc, not even the Yellow story arc if I recall. Speaking of breaking the rules, that battle against Giovanni was so AMAZING that I kind of almost ignored the fact that Pikachu's electric attacks have no effect on Nidoqueen. That moment would've been made more awesome if they fixed that but still kept the charged thunderbolt in somehow. Maybe replace Nidoqueen with Persian if they ever adapt it into an anime? Speaking of possible dumb moments, I thought it was actually pretty clever that Red used the gloves all the way back from Vermillion City to shield himself from an electrifying Poke Ball and I enjoyed the tactic to create a thunderstorm, I honestly don't mind seeing Red use that tactic later on in a future story arc. I feel like their much more "believable" because you actually see the steps that are taken to achieve this. Like Pikachu and Poliwrath's combination of thunderbolt and rain dance created a thunderstorm and Venusaur uses his vinewhip like a lightning rod. Whereas the thunder armor scene, Pikachu just strikes him and Swellow with thunderbolt with really no explanation. Really ....? I think early days of the Pokemon special manga is broken the rules because back there is no tpc enforced the rules as kusaka himself had said so. Really ....? I think early days of the Pokemon special manga is broken the rules because back there is no tpc enforcer the rules as kusaka himself had said so. I don't know what a TPC enforcer is but I personally think it's broken during the RGB story arc because of the severe limitations of Gen 1 had. For example, in competitive, Pikachu would be absolutely destroyed by Nidoqueen or Venusaur by Charizard because Pikachu and Venusaur don't have a lot of counters against such Pokemon in Gen 1 anyway.